Gary Charles Peters Sr. (born December 1, 1958) is an American politician and businessman serving as the junior United States Senator from Michigan since 2015. A member of the Democratic Party, he was the U.S. Representative for Michigan's 14th congressional district from 2013 until his election to the Senate. Before his election to Congress, Peters served in the United States Navy Reserve, spent 22 years as an investment advisor, and worked briefly in academia. He was elected to the Rochester Hills City Council in 1991, going on to represent the 14th District in the Michigan Senate from 1995 to 2002. 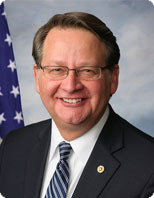 In 2014, Peters was elected to the United States Senate seat previously held by retiring Democratic Senator Carl Levin. He was the only non-incumbent Democrat to win a 2014 Senate election and the only Senate freshman from the Democratic Party in the 114th Congress. Deborah Ann Greer Stabenow (born April 29, 1950) is an American politician who is the senior United States Senator from Michigan and a member of the Democratic Party. First elected to the Senate in 2000, she is Michigan's first female U.S. Senator. Before her election to the Senate, she was a member of the House of Representatives, representing Michigan's 8th congressional district. Previously she served on the Ingham County Board of Commissioners and in the Michigan State Legislature. 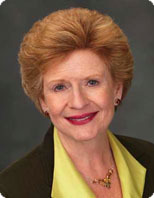 Stabenow served as Chair of the Senate Agriculture Committee from 2011 to 2015. She became Chair of the Senate Democratic Policy Committee in 2017. John Warren Bergman (born February 2, 1947) is a retired United States Marine Corps lieutenant general and the U.S. Representative for Michigan's 1st congressional district. He served as commanding general of Marine Forces Reserve and Marine Forces North. He also served as a naval aviator, flying rotary-winged aircraft such as the CH-46 and UH-1, as well as fixed-wing aircraft such as the T-28 and KC-130. A Republican, he was elected to the U.S. House in the 2016 election. Bergman is the highest-ranking military official ever elected to the United States Congress. 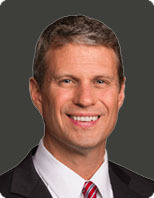 William Patrick Huizenga (born January 31, 1969) is an American politician serving as the U.S. Representative for Michigan's 2nd congressional district since 2011. A member of the Republican Party, he previously served in the Michigan House of Representatives from 2003 to 2009. Justin A. Amash (born April 18, 1980) is an American attorney and Republican member of Congress. In January 2011, he began serving as the U.S. Representative for Michigan's 3rd congressional district. The district is based in Grand Rapids and was once represented by President Gerald Ford. 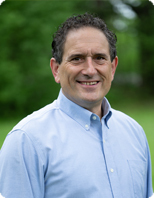 Previously he was a member of the Michigan House of Representatives representing the 72nd District, which is centered on the city of Kentwood and includes his home in Cascade Township as well as the townships of Caledonia and Gaines. 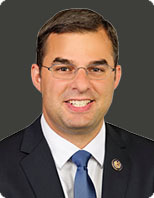 At the age of 30, Amash assumed office as the second youngest sitting U.S. Representative. Amash has been described and self-identifies as a libertarian Republican. 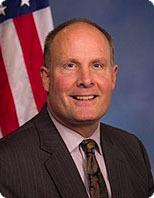 John Robert Moolenaar (born May 8, 1961) represents Michigan's Fourth Congressional District in the U.S. House of Representatives. Moolenaar is a chemist, and worked at Dow Chemical Company for 8 months before entering politics. He was elected to the Michigan House of Representatives in 2002, where he served three terms. In 2010, he was elected to the Michigan Senate, where he served one term. 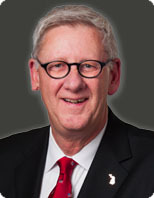 Prior to his election to the Legislature, Moolenaar served on the Midland City Council. In 2014, Moolenaar ran for the United States House of Representatives seat representing Michigan's 4th congressional district. Daniel Timothy Kildee (born August 11, 1958) is an American politician who has been the U.S. Representative for Michigan's 5th congressional district since 2013. 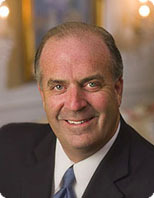 Throughout his career, Kildee has served both as an elected official and a CEO of a national non-profit organization. From 1984 to 2009, he served in a couple of county-level elected positions, as a Genesee County Commissioner and Genesee County Treasurer. 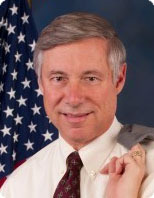 He was elected to the United States Congress on November 6, 2012 as the U.S. Representative for Michigan's 5th district. He succeeded his uncle Dale Kildee, who represented Flint in the House of Representatives for 36 years. He resides in Flint Township, Michigan. Frederick Stephen Upton (born April 23, 1953) is the U.S. Representative for Michigan's 6th congressional district, serving since 1987. A member of the Republican Party and former Chairman of the Committee on Energy and Commerce, he has played a major role in shaping post-Obamacare health-care legislation. The district stretches along the Michigan-Indiana border in the southwestern part of the state. He will become the dean of Michigan's congressional delegation upon the retirement of Sander Levin at the end of the 115th Congress. 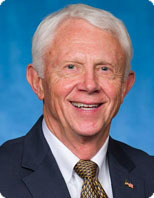 Timothy Lee Walberg (born April 12, 1951) is an American politician and former pastor. He has served as the U.S. Representative for Michigan's 7th congressional district since 2011. Walberg was born and educated in Chicago, Illinois, the son of Alice Ann and John A. Walberg. He left a post-high school position with the U.S. Forest Service to pursue higher education. At one point working in a steel mill to help pay tuition, he studied forestry at Western Illinois University and attended Moody Bible Institute, and completed his degree in 1975, when he earned a B.A. in religious education from Taylor University. After receiving an M.A. in communications in 1978, Walberg and his young family relocated to Tipton, Michigan, where he led services at Union Gospel Church. He resigned his pastorship in 1982 in preparation for a successful bid for the Michigan House of Representatives. 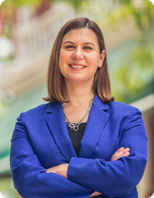 Elissa Blair Slotkin (born July 10, 1976) is an American politician and former CIA analyst and the United States Representative for Michigan's 8th Congressional District. Slotkin was born in New York City, and spent her early life on a farm in Holly, roughly halfway between Flint and Detroit. She attended Cranbrook Kingswood School in Bloomfield Hills. She received a B.A. from Cornell University and an M.A. from Columbia University School of International and Public Affairs. She returned to Holly, where she registered a small consulting business. Andrew Saul Levin (born August 10, 1960) is an American attorney and politician from the state of Michigan. He was elected in 2018 to the United States House of Representatives, succeeding his retiring father Sander Levin. He is the nephew of former U.S. Senator Carl Levin. Levin graduated from Williams College with a bachelor's degree. He earned a master's degree in Asian languages and culture from the University of Michigan and his Juris Doctor from Harvard Law School. 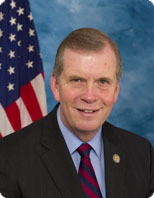 Paul Mitchell III (born November 14, 1956) is an American politician from the state of Michigan. Mitchell was born in Boston and grew up as the oldest of six children in Waterford Township, Michigan. He graduated from Michigan State University. Mitchell owned and operated Ross Medical Education Center. 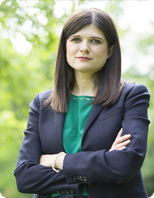 Haley Maria Stevens (born June 24, 1983) is an American politician from the state of Michigan. Stevens grew up in Rochester Hills, Michigan. She graduated from Seaholm High School in Birmingham, Michigan, and American University. She became involved in politics in 2006, working for the Michigan Democratic Party as a volunteer organizer. She worked on the Hillary Clinton and Barack Obama presidential campaigns in 2008, beginning with Clinton before the primary. In 2009, Steven Rattner hired her to join the Presidential Task Force on the Auto Industry, and she served as his chief of staff. She went to work for Digital Manufacturing and Design Innovation Institute in Chicago, returning to Michigan in 2017. 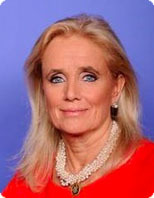 Deborah Ann Dingell (born November 23, 1953) is an American Democratic Party politician who has been the U.S. Representative for Michigan's 12th congressional district since 2015. She is the wife of John Dingell, the longest-serving U.S. congressperson. She worked as a consultant to the American Automobile Policy Council. She was a superdelegate for the 2012 Democratic National Convention in Charlotte, North Carolina. She is active in several Michigan and Washington, D.C., charities and serves on a number of charitable boards. She is a founder and past chair of the National Women's Health Resource Center and the Children's Inn at the National Institutes of Health (NIH). She is also a member of the Board of Directors for Vital Voices Global Partnership. She is a 1975 graduate of the Edmund A. Walsh School of Foreign Service at Georgetown University. 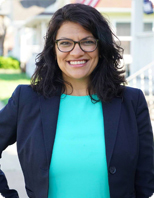 Rashida Harbi Tlaib (born July 24, 1976) is an American politician and lawyer who is the U.S. Representative for Michigan's 13th Congressional district. She is a former member of the Michigan House of Representatives. Until term-limited out, she represented the 6th District, which is in Southwest Detroit and stretches from an area just south of Downtown to the city's southern border, and west to the city of Dearborn. Upon taking office on January 1, 2009, Tlaib became the first Muslim woman to serve in the Michigan Legislature, and the first Muslim woman in history to be elected to any U.S. state legislature. In 2018, Tlaib won the Democratic nomination for the U.S. House of Representatives seat from Michigan's 13th congressional district. She ran unopposed in the general election and became one of the first two Muslim women elected to Congress, and the first Palestinian-American woman in Congress. She is a member of the Democratic Socialists of America. Brenda Lulenar Lawrence (born October 18, 1954) is an American politician and member of the Democratic Party who served as the Mayor of Southfield, Michigan from 2001 to 2015. The Democratic nominee for Oakland County Executive in 2008 and for lieutenant governor in 2010, she was elected U.S. Representative for Michigan's 14th congressional district in 2014. The district includes most of eastern Detroit, and stretches west to take in portions of Oakland County, including Lawrence's home in Southfield. Lawrence grew up in Detroit's northeast side, on Lumpkin Street. She was raised by her grandparents after her mother died when she was three years old. She attended local schools, graduating from Detroit's Pershing High School. 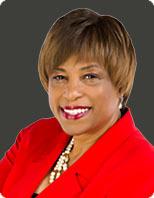 Next she earned her bachelor's degree in Public Administration from Central Michigan University.